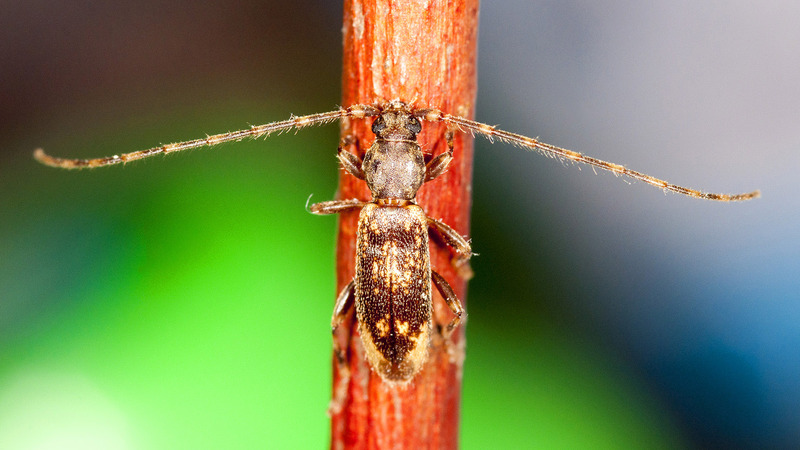 Crotchiella brachyptera, described by Gustav Israelson in 1985 [❖], is very rare endemic montane species of laurisilva forests in Azores Island. Larvae of this endangered species develop in dead branches of Laurus azorica, Vitis vinifera and Ilex. 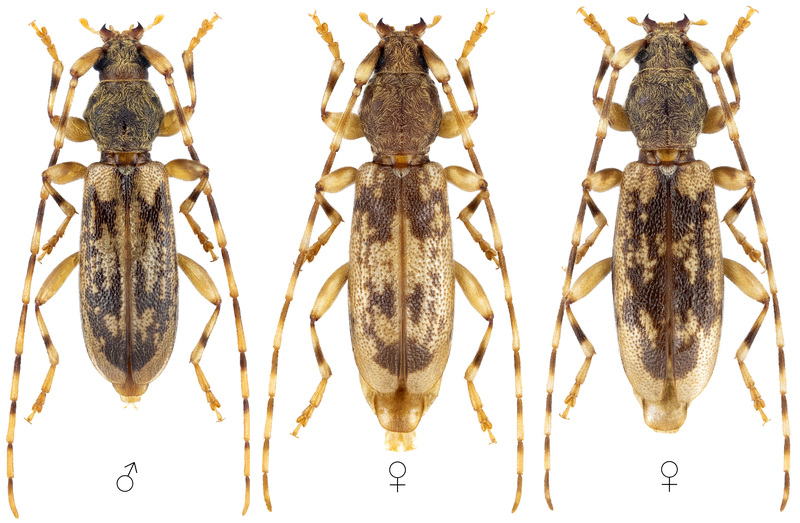 The depicted beetles were reared from larvae collected in São Miguel (Azores Island, Portugal) by our friend Ladislav Karaus. 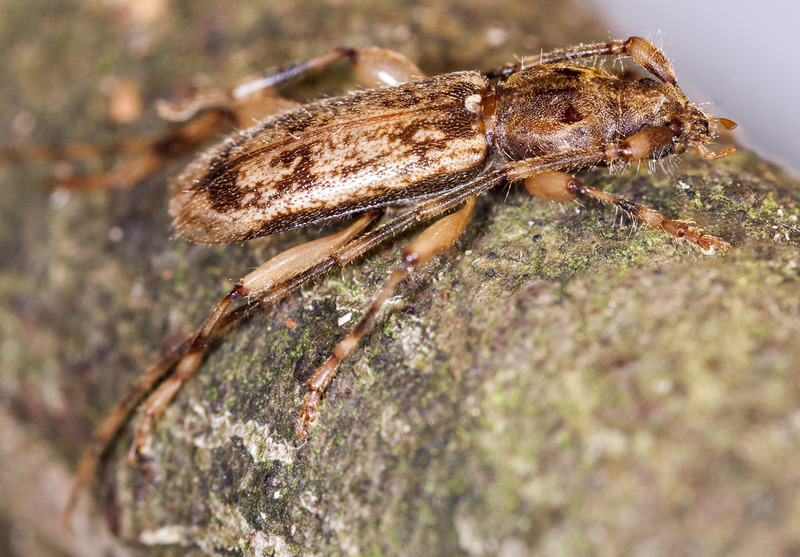 A relict longhorn beetle from the Azores (Coleoptera, Cerambycidae).